Upon deciding to pursue a career in medicine, Dr. O’Malley enrolled at Saint Anselm College in Manchester, New Hampshire and completed his pre-medical studies with a Bachelor of Arts degree in Biology from 1980 to 1984. He also attended the University of Massachusetts for studies in physics. Thereafter, he attended the New York Chiropractic College in Old Brookville, New York from 1984 through 1988 graduating with a doctorate of Chiropractic. He completed his internship at the New York Chiropractic College Outpatient Clinic in Levittown, New York in 1988. Dr. O'Malley moved to Connecticut in 1988 where he began practice as an associate physician at Chiropractic Care of Windsor through 1989. 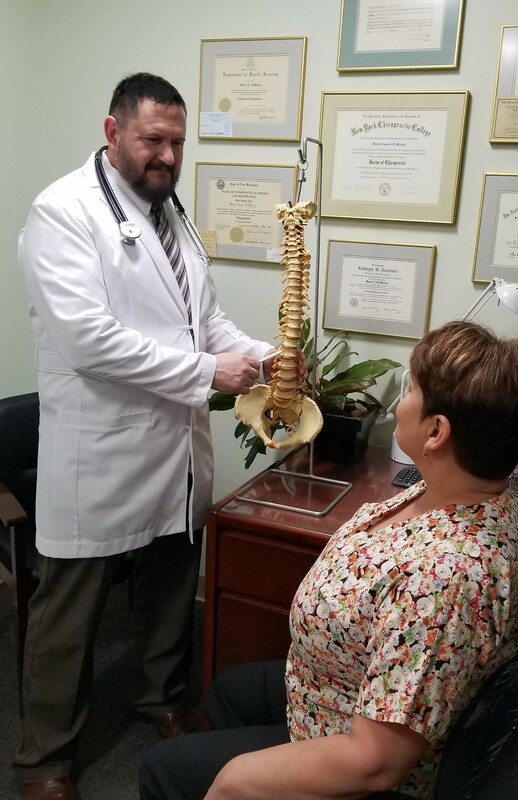 He continued practicing as an associate physician at The Rocky Hill Chiropractic Clinic and later opened a solo practice in October of 1990. Dr. O’Malley is licensed in Connecticut, Massachusetts, New Hampshire, and New York. He is an active member of the Connecticut Chiropractic Association and the American Chiropractic Association. Dr. O'Malley attends post-doctoral continuing education courses on a regular basis to provide his patients with the most up to date advances in the management and treatment of musculoskeletal conditions. He has completed both the Diplomate Program for Chiropractic Orthopedists and the Certification Program for Chiropractic Sports Physicians. Dr. O’Malley is Proficiency Rated in the use of Activator Technique and is certified in Dry Needle Therapy. In addition, Dr. O'Malley has previously been an instructor of anatomy and physiology at the Connecticut Center for Massage Therapy in Newington Connecticut. The focus of his practice is to diagnose and treat painful spinal conditions in a conservative, non-invasive fashion, with minimal utilization of force. Dr. O'Malley believes in the use of myofascial trigger point therapy in conjunction with low velocity mobilization to restore joint function. Patient involvement is essential in the rehabilitative process. Self-management of each condition is encouraged to help prevent ongoing patterns of joint dysfunction and muscular pain.